Every business needs good content. That’s why they could all take a lesson from Johnny Cash. Don’t believe us? Take a look at his 1968 hit Folsom Prison Blues. It’s got most of the ingredients for making a splash with content. For starters, Cash considered the types of content that had proven musical successes. Two were the prison genre and the train genre, so he wisely decided to combine these genres to reach a wider audience. Boom! Bigger market share. Staying abreast of what’s working out there is a must. If you’ve heard the original—which Cash released 13 years before the hit re-recording—you know it lacks the infamous cheering of convicts from his chart-busting live performance. Oh, I shot a man in Reno, just to watch him die. If you’re going to sing a line like that, why not record it with the ambient sounds of actual hardened criminals? That cheering and sense of rubbing shoulders with danger made it catch fire. Content needs to be planted where and when it has good potential for creating a buzz. But guess what? All that hootin’ and hollerin’ you hear in the re-recording? It’s fake. Most was added post-production, because that “hardened” audience turned out to be pretty staid. The lesson is you need to produce content, not just write it. A great way to do that on the web is to add pictures. In fact, Facebook has made it very clear that people crave visual content. It’s why the company’s Photos Feed is now going to be one of the few ways you can show up on your customers’ feeds. One of the hardest parts of content creation is pulling ideas out of thin air, hence the glut of unoriginal “content repurposing” on the web. Well, it’s one thing to get inspiration from another blog or website, but it’s quite another to tinker with it just enough to squeak by the law. This is where Cash ran afoul. He’d actually taken a little known song—Crescent City Blues, recorded by someone else—and repurposed it. In fact, the song is largely unchanged other than Cash adding his trademark boom-chicka-boom and changing a few key lyrics to make it a prison song. Cash had to pay a $75,000 settlement a few years later. Repurposing is risky business, and originality adds value. One thing Cash didn’t have to worry about is the many-tentacled marketing animal that is the Internet. These days, success in almost any arena requires knowing how to work the web, and the hands of a social media amateur are where quality content goes to die. Do you know which web tools you need and how to wield them to their fullest potential? 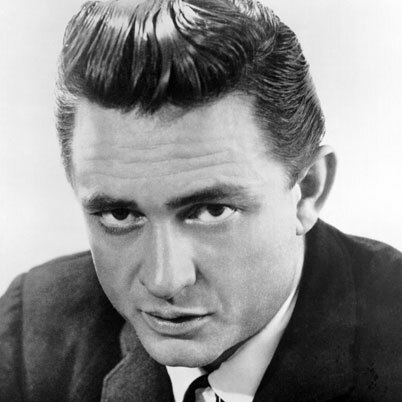 Guaranteed, if Cash were alive today and pushing Folsom Prison to that Country Song of the Year position it took in 1968, he’d have a dream team working all the right web channels. You want to win market share? You want to monetize your content? Then you should do the same.